Last year, Adam Carter -- Chief Commercial Officer for Oclaro -- highlighted the key role of photonic integration in unlocking future innovations in optics. 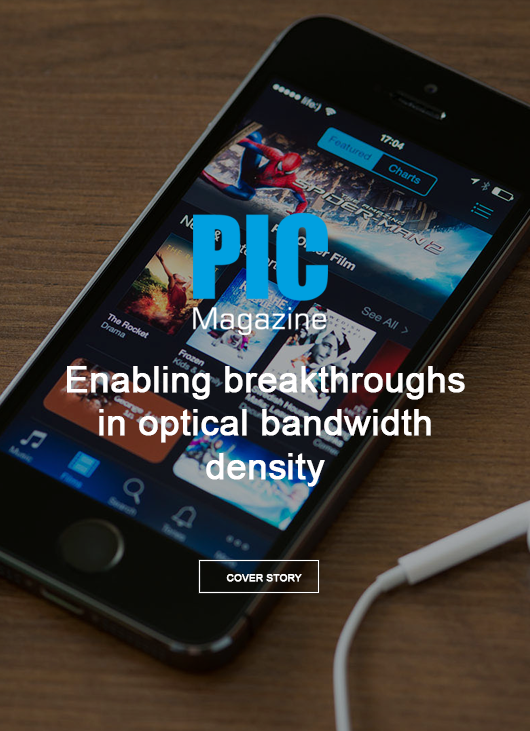 And now -- in his second article for PIC magazine -- he analyses recent industry trends as developers continue their push to meet current and future bandwidth demands. Photonic integration, particularly on indium phosphide (InP), is driving new advances that are continually increasing aggregate bandwidth at the front panel, improving performance, lowering the power consumption and reducing costs. 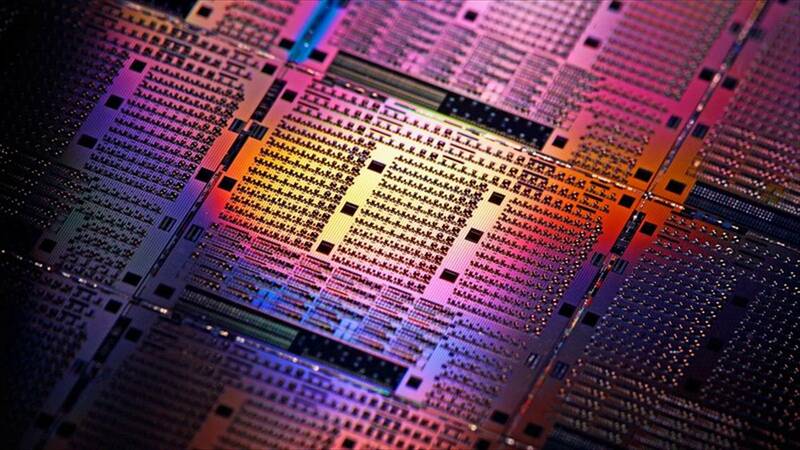 And 12 months on, the potential of photonic integrated circuits (PICs) to deliver breakthrough advances and keep the industry moving forward is even clearer. Solutions in a package: developers such as Oclaro offer a range of options delivering high-bandwidth optical connectivity. From a line side transmission perspective, there is a strong initiative to increase baud rates and modulation formats to enable bit rates above 250 Gb/s all the way up to 600 Gb/s. This transition will drive the emergence of new modulation formats that will increase the optical performance that photonic integrated circuits need to achieve. One critical requirement that needs to happen is to increase the bandwidth per carrier wavelength as this not only increases the total transmission capacity per fibre, but also helps drive down the cost per bit. A perfect example of this trend was Ciena's announcement at the most recent OFC Conference. By opening access to its WaveLogic Ai coherent DSP chipset, Ciena is paving the way for optical chip companies to develop programmable modules supporting up to 400 Gb/s with industry-leading baud rates that allow more data to be transported on each wavelength. Amazingly, people are now even starting to talk about 600 GB/s per wavelength, which will enable the industry to achieve 1.2 TB with two wavelengths from a single module. However, the real Nirvana will be when we can push that bandwidth per wavelength up to 1 TB and beyond. This is where the industry is ultimately heading and it's going to place a lot of emphasis on the discrete laser and receiver chips as well as more complex photonic integrated circuits. Oclaro has many years of experience with integrating different functions with its InP technology enabling it to combine tunable laser designs with Mach Zender Modulation and amplification on a single chip. Benefits include reduced power consumption, higher density solutions (higher aggregate bandwidth on the linecard faceplate), and lower cost per bit while at the same time guaranteeing high field reliability. These integrated solutions have shipped in various module form factors, the latest being the CFP2 ACO for coherent transmission to 250Gbs for long haul, metro and datacentre interconnect applications. Interoperability between different network vendors systems, their Digital Signal Processors (DSPs) and optical components/modules is another hot topic of conversation in the industry, especially when looking at next-generation transmission network architectures. This is especially true when considerations are made of the partitioning of the electronic and the optical components. Today, there are a number of choices a network equipment manufacturer can make. Firstly, discrete implementations using lithium niobate and tunable lasers can be designed onto a linecard. And secondly, the level of integration is increasing to incorporate the analog electronic integrated circuits with the discrete laser and receivers inside an assembly that can be soldered directly onto the linecard. The third step is to integrate all of this into a pluggable module with increased levels of management and functionality that can be inserted through the front faceplate of a linecard. An example of this is the analog coherent CFP2. The latter can also incorporate a DSP for those customers who do not have their own captive DSP supply, which enables a digital electrical interface from the host linecard to the module. Due to interoperability concerns, the industry is trying to decide how to best partition the components in next-generation coherent modules. Fortunately, companies such as Oclaro are supporting all these approaches to give customers maximum flexibility and choice without degrading optical performance at the system level. It is very clear that in the future the ability to design higher levels of integration will be paramount. The continuing thirst for even more bandwidth as we move into the next decade to support the 4Gbit's to 5Gbit's market transition in the wireless access market as well as increasing server speeds to 25G and 50G will require companies such as Oclaro to continuously innovate. This innovation will encompass all areas of design, tools, process and fabrication technology to drive even higher levels of integration in photonic chips "“ targeting higher baud rates, increased bit rates, while at the same time shrinking the size of the die and increasing the optical functionality and complexity without increasing the power consumption at the optical subassembly and/or the final module. Photonic integration is one of the most important optical technologies of our decade. It represents the fundamental building blocks that the telecom and datcom industry needs to move the needle further in terms of available bandwidth. And I look forward to seeing how far we have come in another year. With photonic integration, the future is indeed bright!